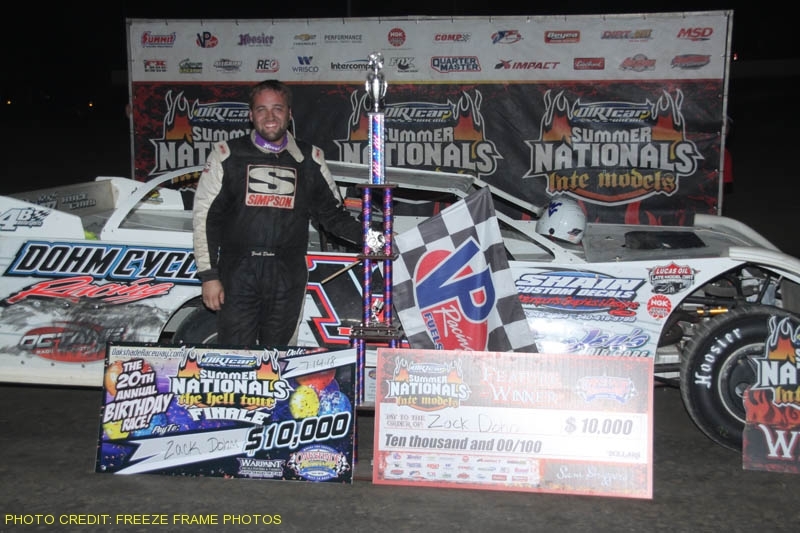 Zack Dohm definitely made the six-hour trek from Cross Lanes, West Virginia, a worthwhile one, winning a combined $15,000 at Oakshade Raceway over the weekend by sweeping both DIRTcar Summer Nationals events including the $10,000 to win 20th Annual Birthday Race on Saturday night. 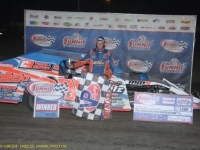 Last year’s Birthday Race winner, Kent Robinson, started on the pole and led the first 10 laps of the 60-lap Birthday Race main event. Zack Dohm made a charge to the front to the inside of Robinson on lap 11 and never looked back. Dohm ran numerous laps behind Jon Henry who was running at the tail of the lead lap cars trying not to get lapped. This kept Robinson and Frank Heckenast Jr. in a tight pack behind Dohm. Robinson made a bid for the lead on lap 35 by sticking his nose to the inside of Dohm, but Dohm was able to fend off the challenge. Finally, after what seemed like an eternity, Henry slipped up from the bottom and allowed Dohm and the rest of the front runners to get by. Shortly thereafter, Henry abruptly slowed in turn two which brought out the caution flag on lap 46. 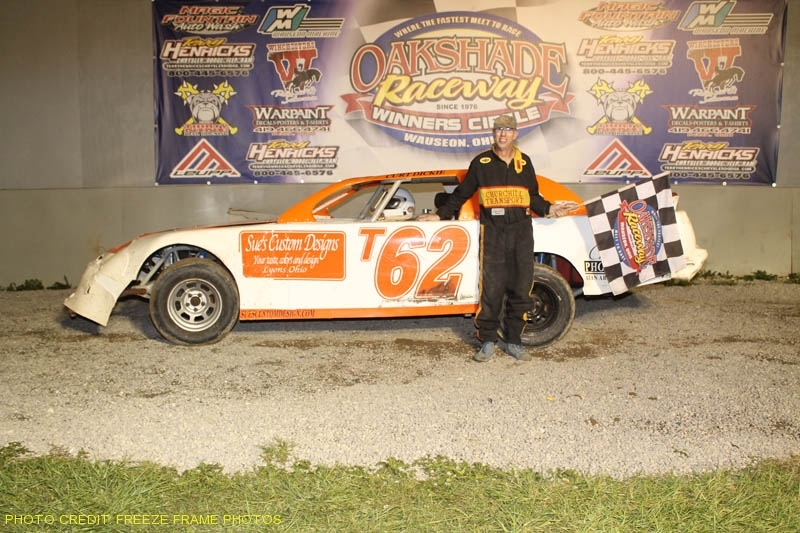 With clear track ahead, Dohm went on to add his name to the elite list of Oakshade Birthday Race winners with Robinson settling for the runner up position. 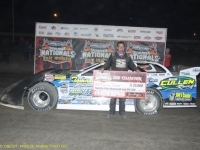 Heckenast Jr. finished third and the 2018 DIRTcar Summer Nationals champion, Brian Shirley from Chatham, Illinois, ended up fourth. 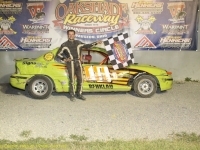 Ryan Unzicker wound up finishing fifth. 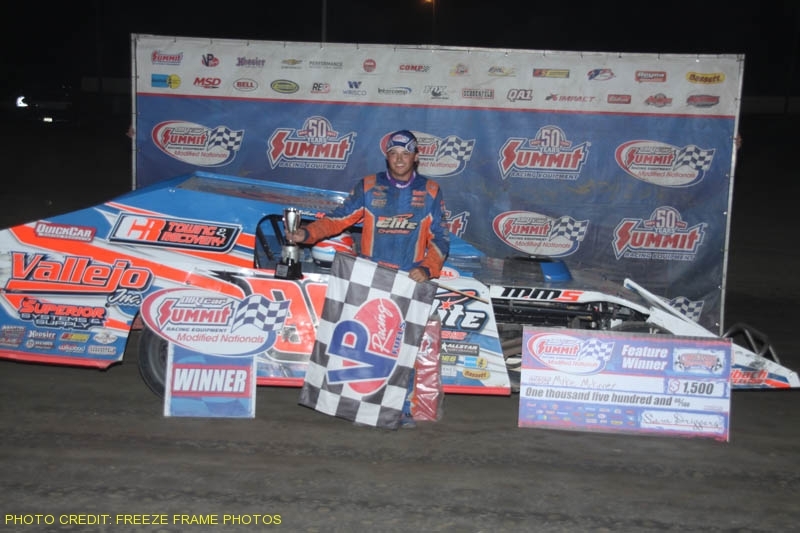 Mike McKinney out of Plainfield, Illinois, started on the pole of the Summit Racing Modified Nationals feature event and led the entire 25-lap distance. Last year’s winner, Brian Ruhlman positioned himself into second early with Friday night’s winner, Taylor Cook, running third. A caution flag on lap 21 slowed the field a final time, but McKinney had the field covered and went on to take the checkered flag with Ruhlman and Cook finishing second and third. 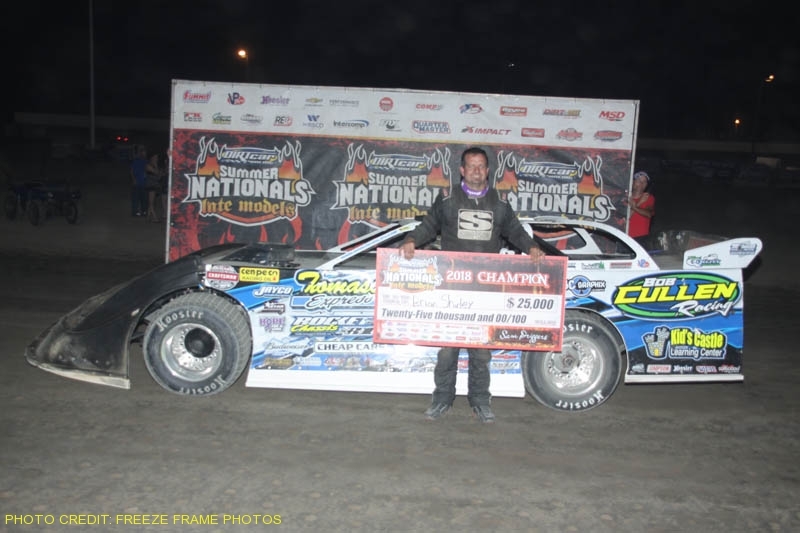 Bobby Stremme ended up fourth with Brad Eitniear finishing fifth. NASCAR Camping World Truck driver Matt Crafton could only muster a seventh place finish just behind Josh Scott. Cory Gumm started in the second row of the compact feature event and immediately got to the front at the drop of the green flag. 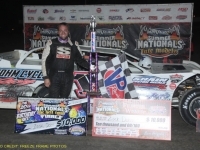 Several drivers running in the top five including Eric Carr and Ken Watts had issues that brought out cautions and sent them to the tail of the field for the restarts. 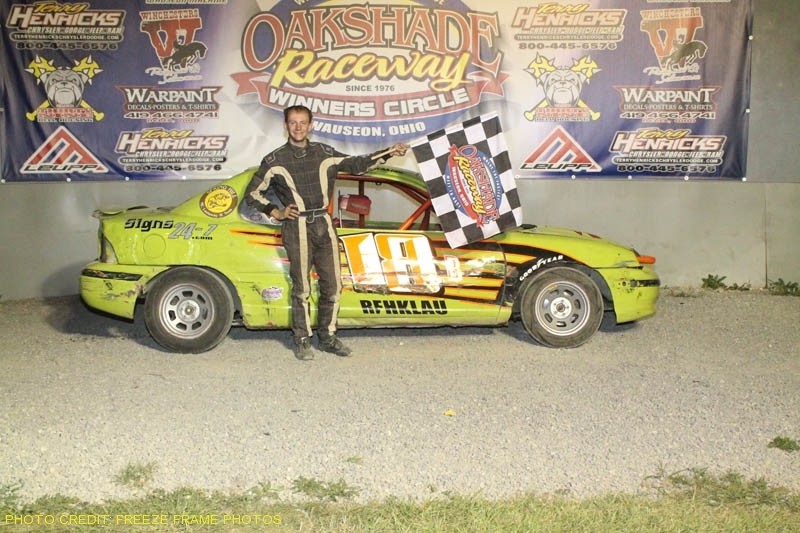 Waldron, Michigan’s Brogan Rehklau took advantage of a restart after an early caution to get by Gumm for the race lead and went on to pick up the feature win over Gumm. Joe Elliot finished third after starting 10th and Matt Brazeau climbed up through the field to end up fourth after starting 12th.